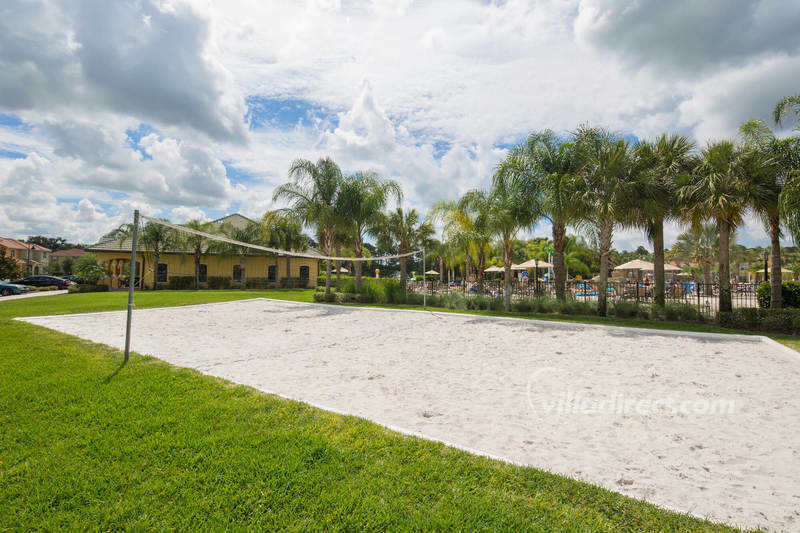 Villadirect was a perfect experience definitely I will return! 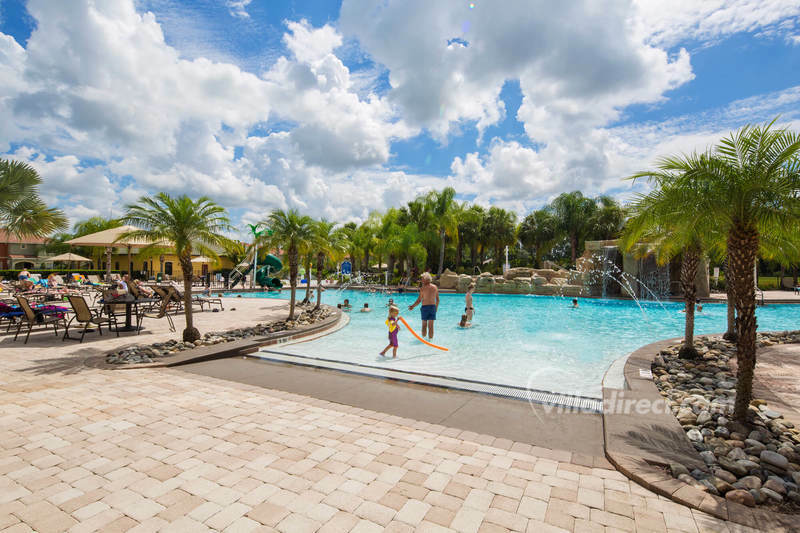 Come and stay at this wonderful resort of Paradise Palms in Orlando Florida for your next Disney vacation, offer 3, 4, and 5 bedroom vacation rental town homes. 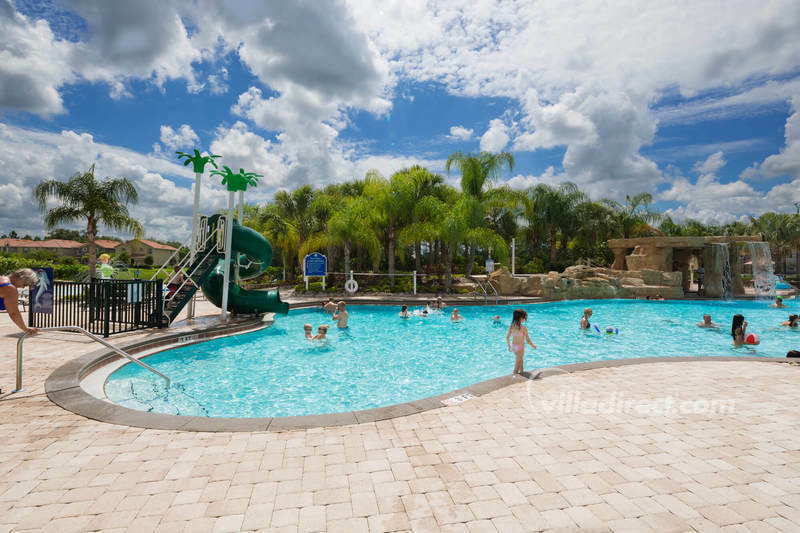 Paradise Palms gated community is a great value, quality and luxury vacation community. 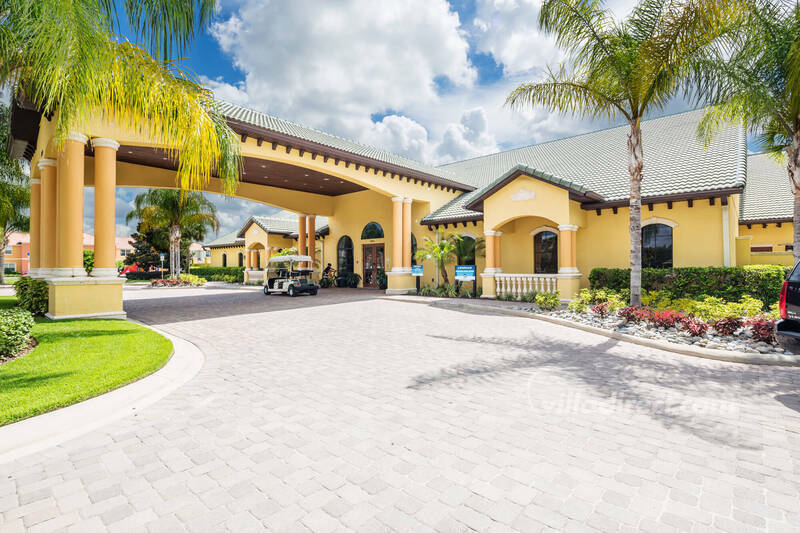 Enter through the gated entrance surrounded by fountains and landscaping, that leads down the tree-lined boulevard to the fabulous clubhouse at this resort. 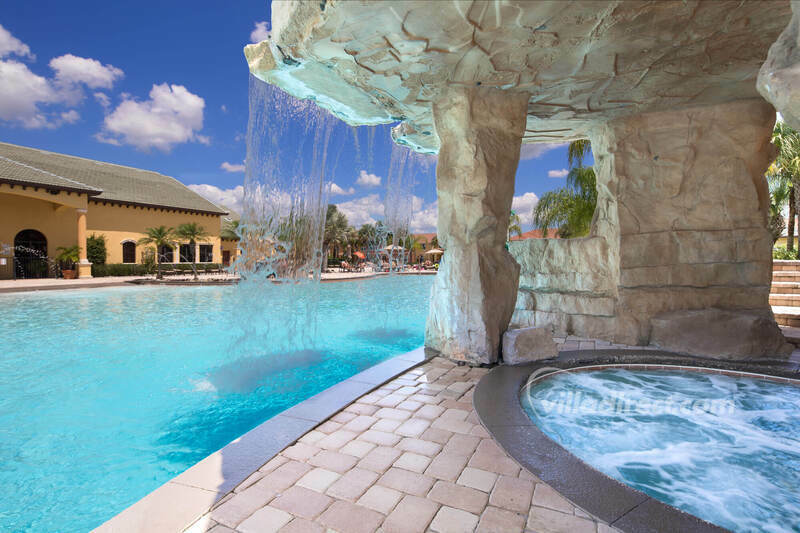 The luxurious clubhouse has a terrific "Tropical Oasis" lagoon pool with two spas - one of which is located in a delightful, covered "grotto" and looks out on to the main pool. 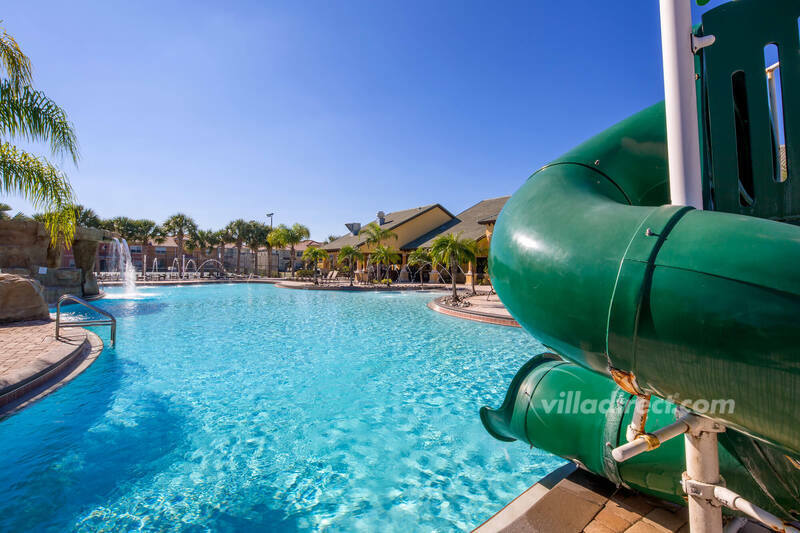 There's a separate kiddie's pool and play area next to the main pool for the toddlers to enjoy. 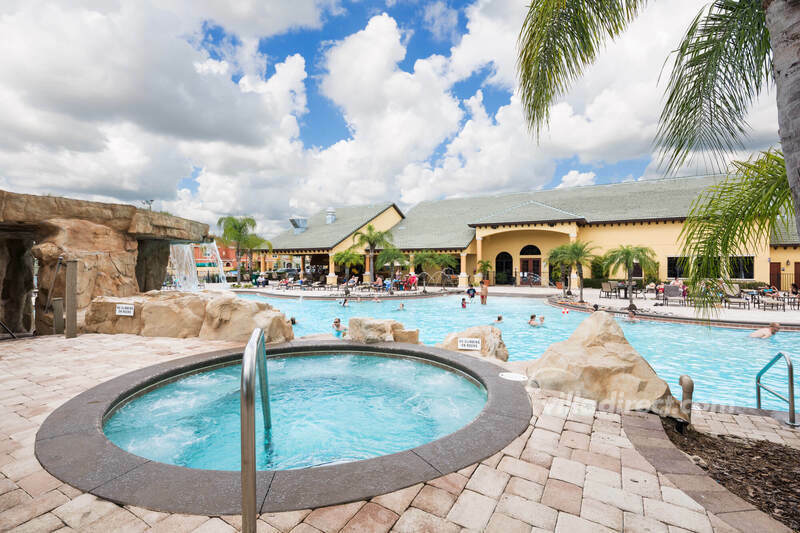 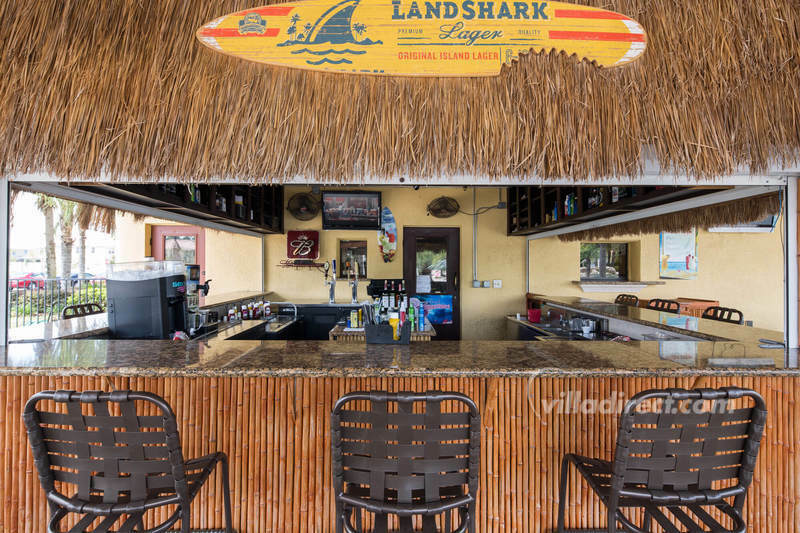 Sit and soak in the sun on the loungers, tables and chairs surrounding the pool and tiki bar, which is open for resort guests and serves drinks and food. 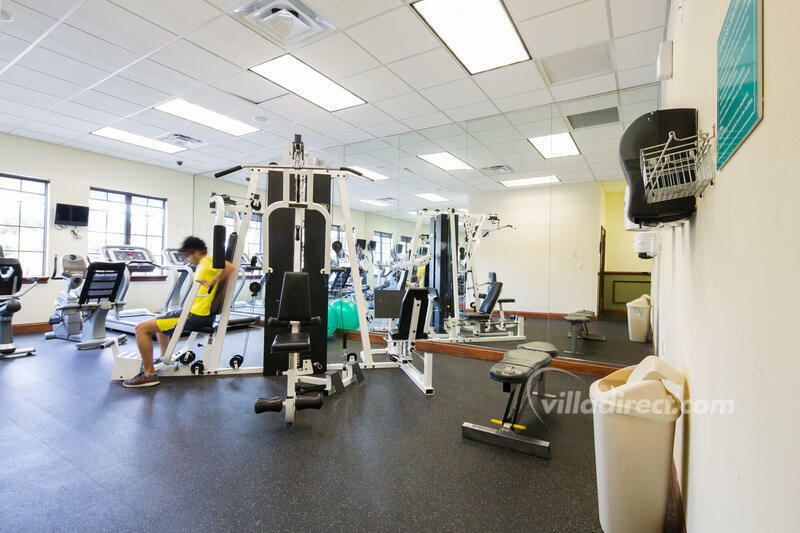 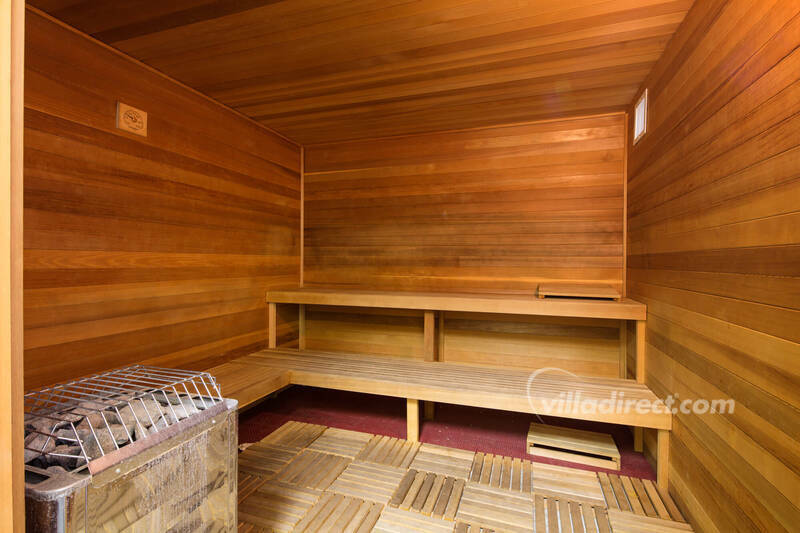 If you want to exercise, Paradise Palms has a fitness center and sauna to enjoy, together with a tennis court, basketball press-court and volleyball court outside for those who really want to get a work-out. 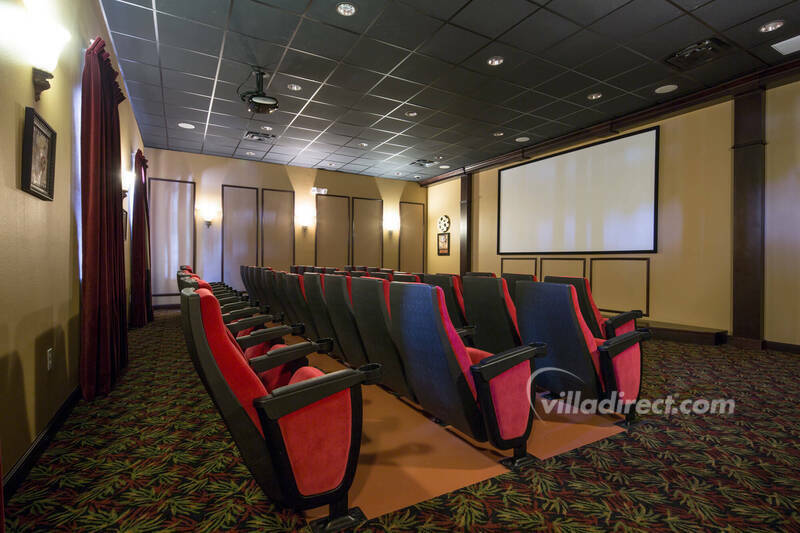 Inside this fabulous resort clubhouse, there's a meeting room, plus a 50-seat cinema that has a selection of great family and kids movies to watch together. 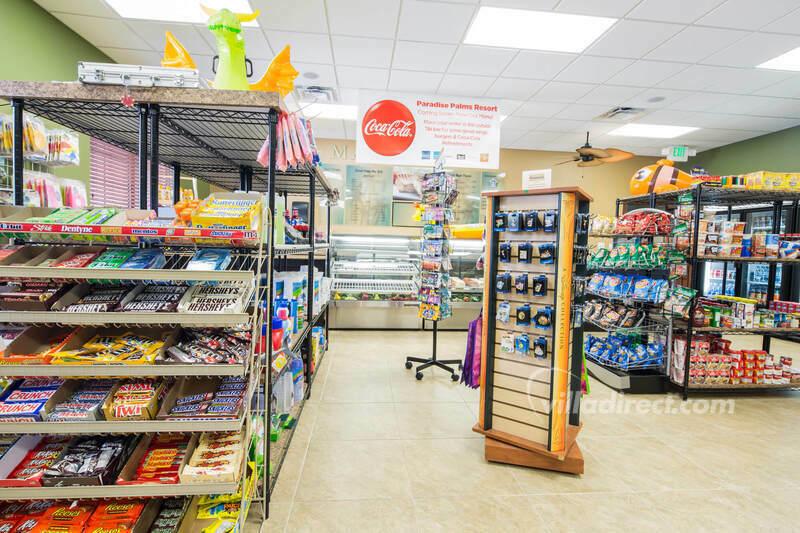 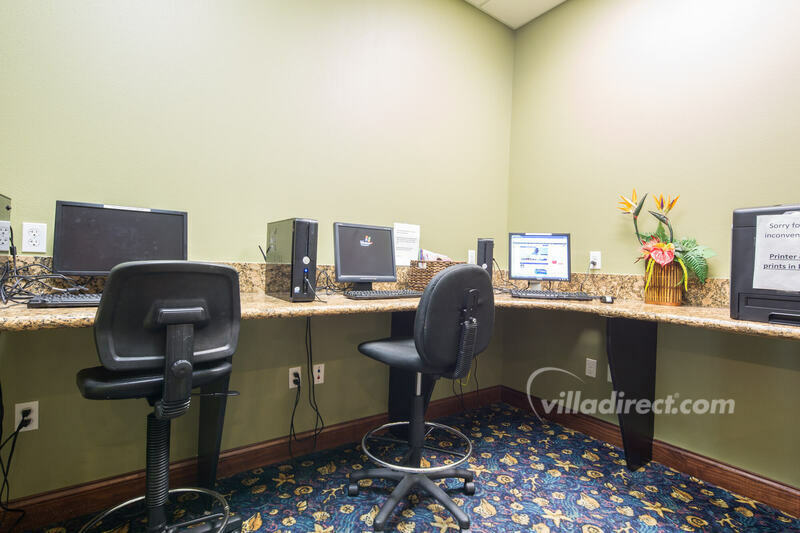 The clubhouse also has an internet cyber cafe with high-speed internet access that also provides wireless access in the clubhouse and pool area. 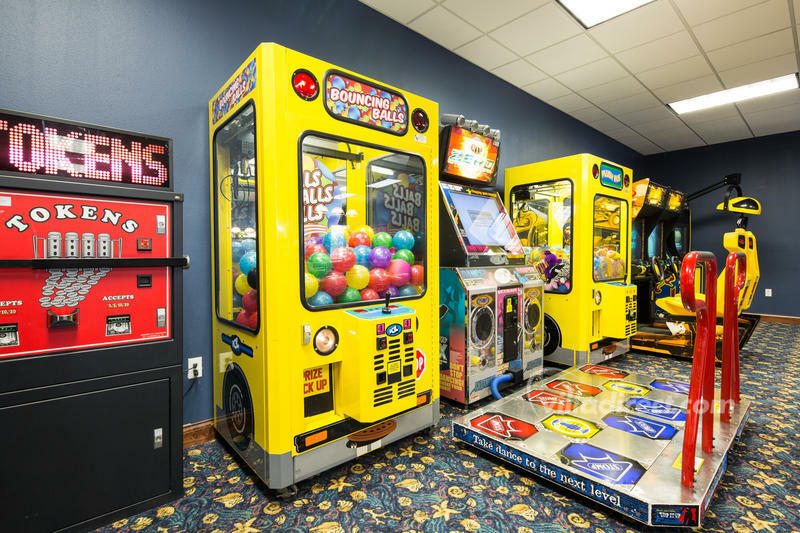 If the kids want a bit more indoor fun, there's a video arcade and games room that will keep them busy and amused for hours! 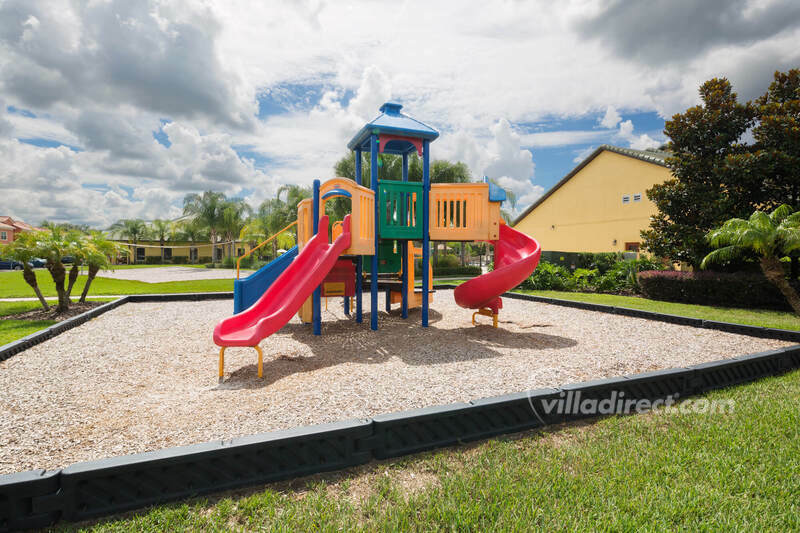 Paradise Palms town houses provide beautiful interior design and luxuries to help your family enjoy their stay and come back year after year. 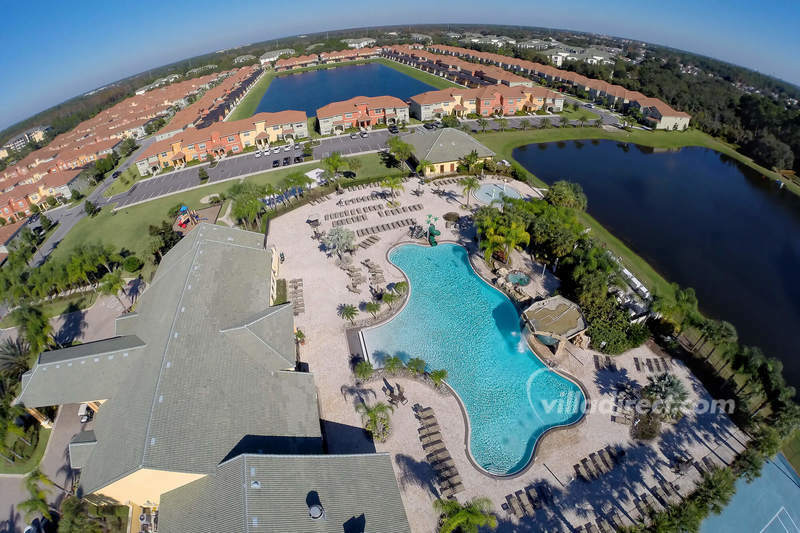 Each private town house with pool has been professionally designed to meet your vacation needs with superb features and upgrades. 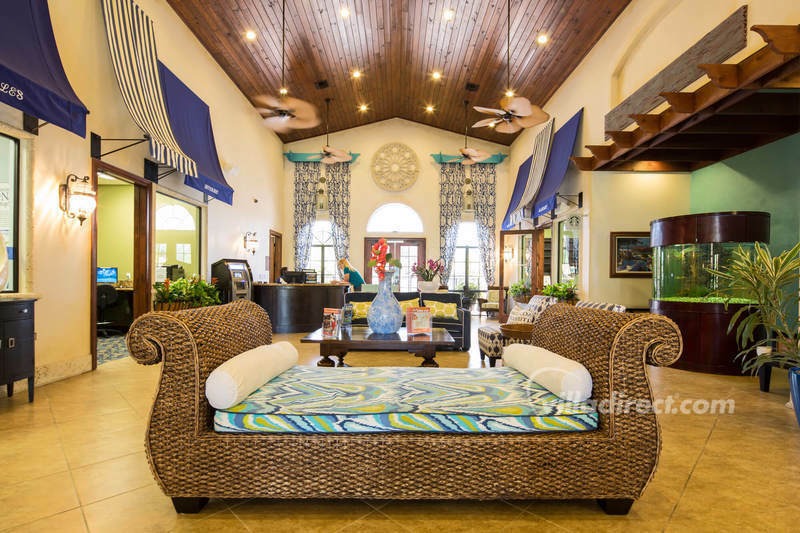 All bedrooms include flat-screen TV's and comfortable upgraded beds. 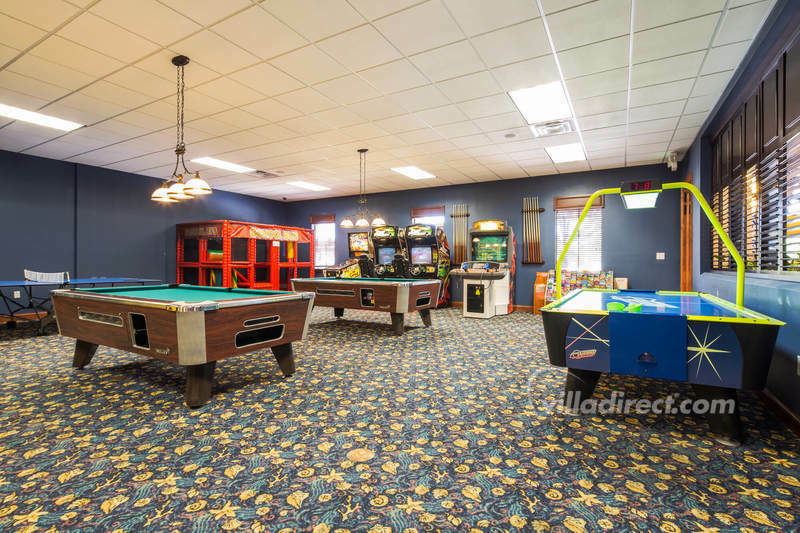 The main family room area has enough seating for all guests and enjoys flat-screen TV's. 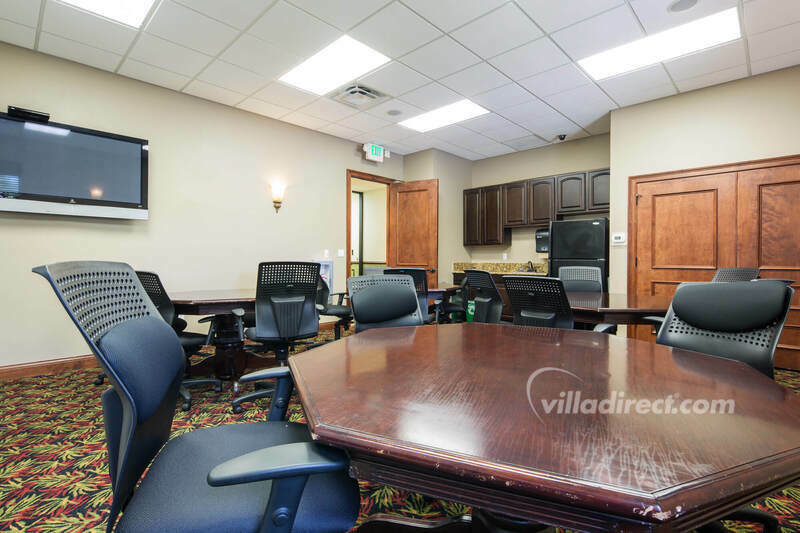 The kitchens are a dream to prepare meals in with granite counter tops, brand name appliances and a breakfast bar and dining nook. 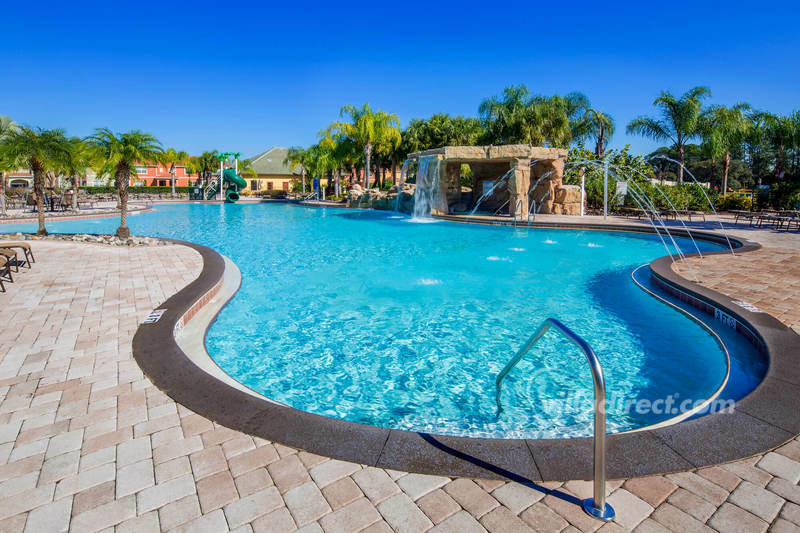 Each of these townhomes also has a private, heated pool (optional) with covered lanai and is surrounded by a privacy wall. 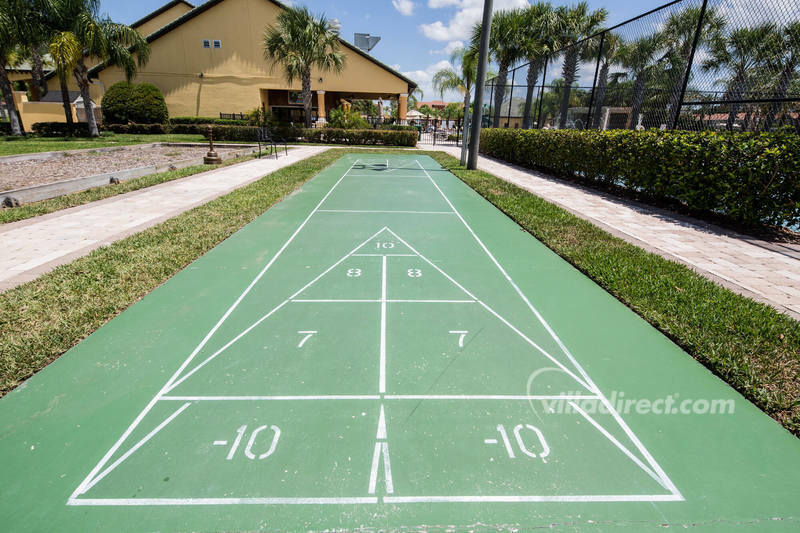 We're sure that you'll find Paradise Palms a delight to stay at and a firm family favorite. 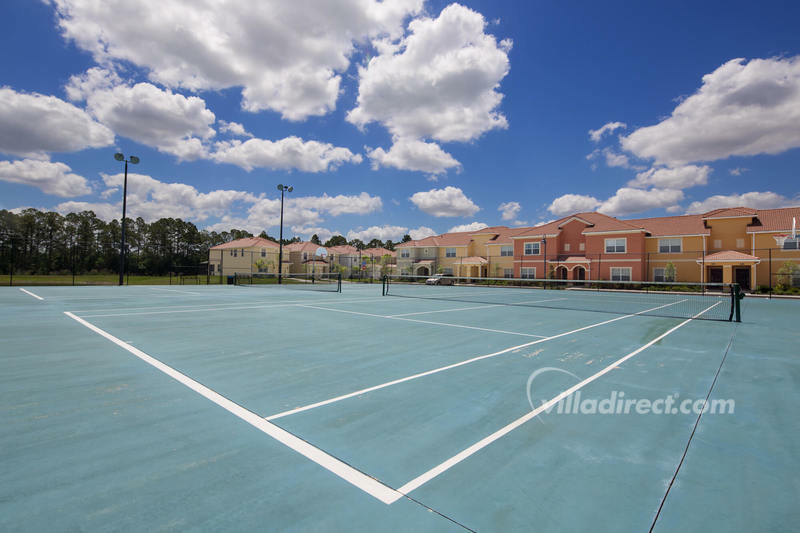 If you want even more choice, take a look at Windsor Palms, Windsor Hills, Emerald Island, Formosa Gardens or Encantada as alternatives, all located in Kissimmee and Orlando close to Disney attractions.